Unfortunately many of those plans were first proposed by BC’s Climate Action Team a decade ago. We need to tell the government to get on with it already … but also to put in place accountability measures to bind future governments to fight climate change. You have until August 24th to comment. You can email your submissions or post comments on the government’s engagement page. These intentions papers represent the government’s initial thinking about programs that could be up and running in the near future, and do not contain a complete list of the government’s climate actions. The government is also developing a clean energy road map, has a Climate Solutions and Clean Growth Advisory Council working on new suggestions and will be coming out with other initiatives. But still, these intentions papers, are not terribly ambitious. Many of the same recommendations were made in 2008 by the BC Climate Action Team, an advisory committee appointed by Premier Campbell, in its final report. BC has a history of adopting tough greenhouse gas (GHG) reduction targets and a selection of climate policies, and then pretending that the latter will somehow guarantee that we achieve the other. That’s what happened two years ago when the previous BC government developed a Climate Leadership Plan, which contained some cool commitments but nonetheless failed to explain how it would achieve BC’s climate targets. The same problem persists today. After mentioning BC’s climate targets in the Introduction to the Intentions Papers, these goals are not discussed in the actual intentions papers. There’s no suggestion that the measures in the intentions papers were selected to achieve BC’s climate targets. The government intends to release climate modeling in the fall that will demonstrate what its different climate initiatives will achieve, but for now, it is not clear what impact they will have. With this state of affairs, and with more frequent extreme weather events and wildfires as the visible face of climate change, it’s clear that BC desperately needs a real Climate Accountability framework. This framework must encourage or require BC governments to pursue higher levels of climate leadership – no matter what party is in power. meaningful public reporting on progress towards achieving the carbon budgets. The government hasn’t asked about any of these things in their intentions papers, but we think this is an ideal opportunity to mention that climate action needs to take place within the context of laws that ensure government accountability. The UK adopted a climate accountability law in 2008, and as Marc Lee at the CCPA notes: “…the UK has been the most successful country in the world at reducing its emissions, which have dropped to 42% below 1990 levels and are now at 1890 levels (yes, 1890, that is not a typo).” This progress occurred under successive Conservative governments, largely because the climate accountability law forced them to take meaningful action. Reductions in the UK were achieved by shutting down coal power plants, which BC (fortunately) doesn’t have. But New Zealand, which has an emissions profile and population that looks very similar to BC’s, is in the process of adopting a similar climate accountability regime. If these types of accountability measures existed in law in 2008, there’s a good chance that many of the recommendations contained in the intentions papers would have already been adopted and implemented over the past decade. If we put accountability measures in place now, we can hope to go further by 2028, and perhaps meet or beat our 2030 target. The built environment produces approximately 10% of BC’s emissions (plus an additional 7% from waste) and buildings are ripe for emission reductions. The following table summarizes the recommendations related to buildings contained in the 2018 intentions paper and in the 2008 BC Climate Action Team recommendations. As you can see, there’s a lot of overlap, and in some cases the 2008 recommendations go further. Energy efficiency labelling for buildings Yes. Yes, should be implemented by 2012. Yes. Incentives are proposed to encourage retrofitting. Yes, “incentives and regulatory approaches … co-ordinated across governments and utilities” would encourage and require retrofitting of existing building stock. Yes, enhance energy efficiency requirements in Building Code in 2022 and 2027; make new buildings 40% more efficient by 2027. Yes, review Building Code every 3 years; require new publicly-funded buildings to be net-zero GHG emissions by 2016 and all new buildings by 2020. New energy efficiency standards for appliances Yes. Yes. Yes. Training to ensure access in rural and remote communities. Before leaving the topic of buildings, it’s worth highlighting that in 2015 the BC NDP (in opposition) proposed an aggressive program of retrofitting public buildings across the province as a way of both creating jobs and reduction greenhouse gas emissions. This “Power BC” plan went well beyond the timid retrofit incentives proposed in the current intentions paper, and the BC government might well be asked why.As the Pembina Institute indicates in its submissions on this intentions paper, much more can be done to achieve major GHG emissions reductions from buildings. 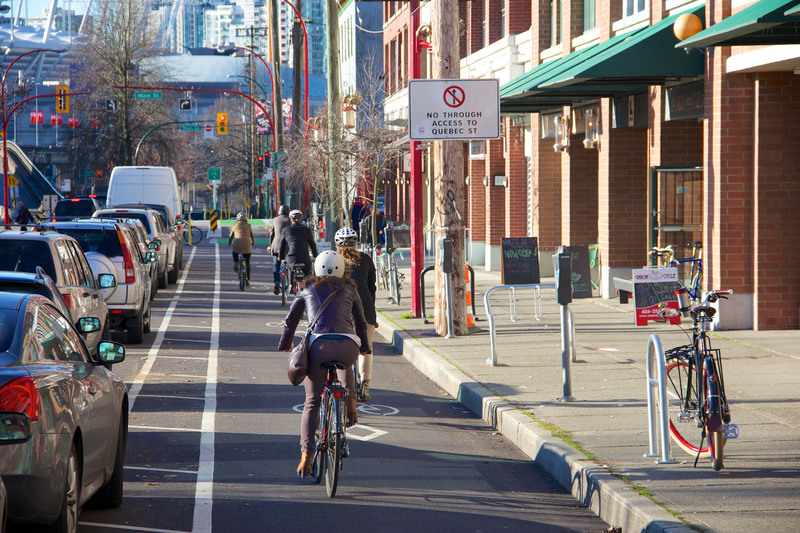 Transportation makes up approximately 39% of BC’s greenhouse gas emissions (14% from domestic use, 25% commercial use). Decarbonizing the transportation system is a holy grail of climate policy. As with buildings, many of the recommendations in the Clean Transportation intentions paper echo those of the BC Climate Action Team. A major exception relates to electric vehicles, which have come a long way since 2008. Yes. Incentives for electric vehicles until they reach 5% of the market, and for investments in infrastructure. Ban the sale of gasoline/diesel light duty vehicles by 2040. Yes, in relation to freight and industry, but only incidentally for passenger vehicles. The Action Team recommended policies and programs aimed at increasing the efficiency of heavy-duty vehicles. Require fuel suppliers to decrease the carbon intensity of their fuels by 10% (compared to 2010 levels) Yes. Increase that requirement to 15% by 2030, and consider a further increase to 20%. Additional measures proposed to support this change. Yes. Increase that requirement to 15% by 2020. Support for cleaner transportation systems. Working with partners to explore innovative ferry designs. Adopt policies to enhance the use of rail in transportation of freight. Measures aimed at air travel No. Yes. Include air travel in a regional cap and trade system. Registered Professional Planner and long-time big-picture thinker on transportation, Eric Doherty, wrote a good piece on how the transportation intentions paper might be more ambitious. The absence of proposals relating to freight and air transportation, both of which are much larger sources of emissions than passenger vehicles, is striking. An “Industrial Incentive” that reduces the carbon tax for industrial operations that approach “world-leading” GHG standards. A “Clean Industry Fund” that industrial operations can apply to for financial assistance in implementing measures that reduce greenhouse gas emissions. These programs apply only to “regulated, large industrial operations” that emit more than 10,000 tonnes of GHG emissions per year. The question of what incentives, rules and opportunities may exist for smaller industrial operations or businesses has been left for another day. BC’s carbon tax is scheduled to increase from $30/tonne to $50/tonne of GHG emissions in 2021. The current $30/tonne tax is revenue neutral, so industry already gets back these funds in tax breaks. However, the BC government has indicated that the additional $20/tonne in 2021 need not be revenue neutral. The intentions paper proposes that an industrial operation that can deliver world-class GHG standards will get some or all of their $20/tonne back. Any of those funds that are not given back to “world-leading” industry will go into the Clean Industry Fund. Companies will then be able to apply to that fund for money to reduce the emissions from their operations. There are many unanswered questions about this proposal, and the devil is always in the details. There will presumably be considerable pressure on the government from industry to set weaker standards. Will the “world-leading” standards be enough to achieve BC’s climate targets? If not, how will they be achieved? See Pembina’s submissions on this intentions paper for some of the details that need to be tackled in developing and implementing these programs. You have until August 24th to comment on BC’s intentions papers. You can email your submissions or post comments on the government’s engagement page. Until BC has a true climate change accountability act that creates a framework to push governments to ever tougher climate action, BC’s climate action remains vulnerable to changing political circumstances. The programs described in BC’s intentions paper are long-overdue first steps and must be designed, along with other programs, in a way that gives us the best chance of meeting our climate goals. BC needs a program to aggressively retrofit existing buildings, starting with public buildings, as promised by the NDP in opposition. BC’s transportation strategy must focus not just on automobiles but tackle air travel, freight and industrial transportation.